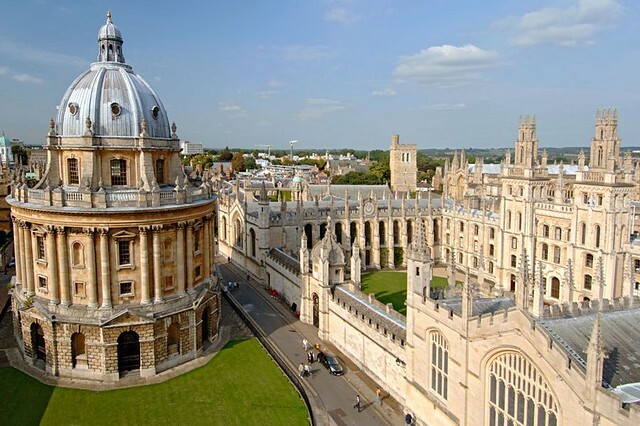 Originally opened in 1602, the University of Oxford’s Bodleian Library certainly isn’t short on history. And after four centuries’ worth of expansions, the principal library and its satellite buildings now hold some 11 million printed items. One of those buildings, the Radcliffe Camera, is a neoclassical circular structure designed by James Gibbs in 1749 that has become an icon of Oxford’s campus. 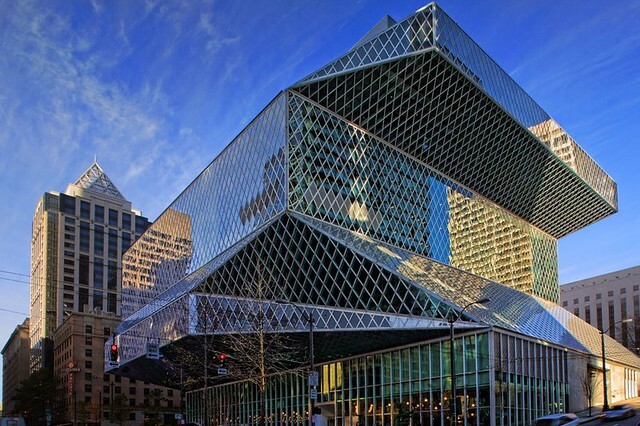 When it opened in 2004, the Seattle Public Library’s Central Library changed everything. The 21st-century library shouldn’t only celebrate the book, argued Dutch architect Rem Koolhaas of OMA, but “redefine [it] as an information store where all potent forms of media, new and old, are presented equally and legibly.” That thinking led to a reshuffling of the library’s functional components, generating a striking 363,000-square-foot structure with a glassy faceted shell. As we hold it down, we might recall that today is the first day of National Library Week!